“ What is leadership ? Leadership means having the right people, processes and systems in place in our personal and organizational lives. When we look at the question of what is leadership, it means renewal in each of the four dimensions of physical, mental, spiritual and social/emotional. Although renewal in each dimension is important, it only becomes optimally effective as we deal with all four dimensions in a wise and balanced way. To neglect any one area negatively impacts the rest. Got a question? Ask me anything in the section below! 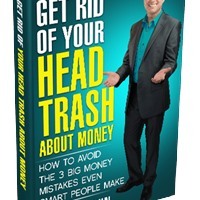 If you’ve got 45 minutes to read this book, I guarantee to work a financial miracle in your life.